This is a two part assignment. The first is a booklet to make and fill in samples of 8 types of figurative language. 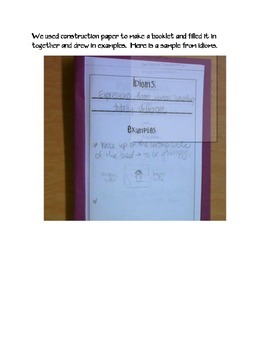 The second is basic instructions for students to then create a PowerPoint presentation off their notes.